For other uses, see Hernani (disambiguation). When all seems to be well, Silva sounds the trumpet call to Ernani to surrender. Ernani was first performed on 9 March 1844 and it was "immensely popular, and was revived countless times during its early years". It became Verdi's most popular opera until it was superseded by Il trovatore after 1853. In 1904 it became the first opera to be recorded completely. Following the success of both Nabucco and I Lombardi , Verdi was approached by many opera companies wanting to commission him to write an opera for their houses. 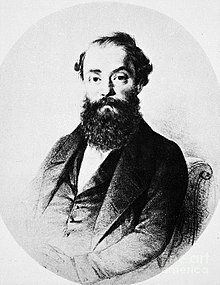 Rather than prepare another for La Scala, he was interested in a commission for two operas for the 1843–44 season (one of which would be I Lombardi) which came from the President of the Teatro la Fenice in Venice, Marquis Nanni Mocenigo. Once this agreement was settled upon, the next step was to choose a subject, something which took some time. Several subjects came to Verdi's attention: for example, Byron's The Corsair was considered, but the right baritone was not available. 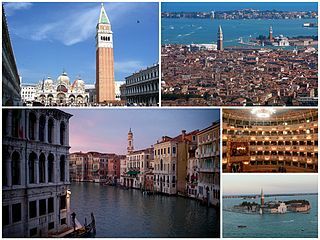 In thinking about an opera about the Venetian Foscari family, he found that it was forbidden by the censor in order avoid upsetting any of the descendants of that family who were then living in Venice. However, both of these subjects were to become later Verdi operas, Il corsaro and I due Foscari . The season opened with I Lombardi in December 1843. It was a disaster, with terrible singing from the tenor Domenico Conti. Two other operas early in the 1843/44 season were equally poorly received. Having heard one other potential tenor, Vitali, as a possible replacement, the composer presented an ultimatum: either be released from his contract or the company would engage Carlo Guasco in the role of Ernani. With a premiere set for March, two final glitches were overcome: the bass Rosi had disappeared from consideration as de Silva but was replaced by Meini, who then withdrew because he found the part too low. Verdi then engaged a member of the chorus, the bass Antonio Selva who went on to a distinguished career. 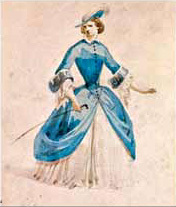 And, in spite of complaints from the soprano, Sophie Löwe, that she was not be front and centre for the finale, she became part of the final trio. ...from the first the spirit of Hugo is there. Verdi [ten years younger than the playwright] was part of that youthful audience to which the play Hernani is addressed. The bounding energy of Hugo's alexandrines is reflected in the spirit of Verdi's music, which is far more forceful than anything he had written so far. Victor Hugo, one might say, was good for Verdi; and it significant that both the operas that he based on Hugo's plays (the other was of course Rigoletto ) were landmarks in his career. Place: Aragon, Aachen, and Zaragoza. The bandits demand the reason for Ernani's gloom (Chorus: Evviva! Beviam! Beviam! / "To you we drink"; Ernani pensoso! / "Ernani, so gloomy? Why, oh strong one, does care sit on your brow?"). Ernani replies that he loves Elvira (Recitative: "Thanks, dear friends"; Cavatina: Come rugiada al cespite / "As the flower turns to the sun"), who is about to be married against her will to old Gomez de Silva (O tu che l'alma adora). He asks the bandits to abduct her. Elvira worries about her upcoming marriage (Scena: "Now sinks the sun and Silva does not return"; Cavatina: Ernani, Ernani involami / "Ernani, Ernani, save me") as servants deliver Silva's wedding presents to her. She reaffirms her love for Ernani (Tutto sprezzo che d'Ernani / "I scorn everything which does not speak to my heart of Ernani"). King Carlos, disguised as a peasant, enters, but Elvira recognizes him and rejects the love that he offers her. As he attempts to use force, she grasps a dagger, but Ernani suddenly arrives and stops Carlos (Trio: "A friend comes quickly to your aid"). Carlos recognizes Ernani as the leader of the bandits. Ernani replies that Carlos robbed him of his lands and forced him into a life of banditry. As he invites Carlos to fight, Silva appears and sees Ernani (Infelice!... e tu credevi... che mai vegg'io! / "Dreadful sight"; Silva's cavatina: "Unhappy man! You thought this lovely...was yours"). Ernani offers to fight them both when Riccardo approaches and recognises the king. Silva is horrified and apologizes to the king, while Ernani whispers to Elvira to prepare to flee. [Added for Parma, 26 December 1844: "at Rossini's request, Verdi wrote a grand aria for the tenor Nicola Ivanoff". Ernani gathers his men to him. His aria of vengeance: Sprezzo la vita né più m'alletta / "Life means nothing to me, only hope of vengeance" concludes the act]. Act III: "O sommo Carlo"
"O sommo Carlo", sung by Mattia Battistini, Emilia Corsi, Luigi Colazza, Aristodemo Sillich, and the La Scala chorus in 1906. Shrine of Charles at Aachen. Carlos visits the grave of the emperor Charlemagne (Carlo Magno), whose successor, the new Holy Roman Emperor, is being elected by delegates from the relevant countries. Carlos resolves to change his life if he is crowned (Cavatina: Oh, de' verd'anni miei/ "Oh, the dreams and deceits of my youth"). Hiding behind the vault, he overhears a gathering of conspirators including Silva and Ernani. Ernani swears to murder Carlos. The conspiracy is foiled when Carlos's attendants enter and surprise the conspirators. The king commands that all the traitorous noblemen be executed. Ernani steps forward, declaring that thus he must die too; he is not the bandit Ernani, but Don Juan of Aragon, whose lands were taken from him. Elvira, who had been brought to Carlos as his intended empress, begs mercy for her lover, and Carlos, whose mood has changed, forgives them both and places Elvira's hand in that of Ernani. Elvira and Ernani have just been married, when, in consternation, Ernani hears a bugle call. Silva arrives and silently hands Ernani a dagger. Ernani asks for time to "sip from the cup of love" (Ascolta, ascolta un detto ancor/ "Listen, just one word...") but, cursed by Silva as a coward, Ernani keeps his oath and stabs himself in the heart (Trio with Silva: È vano, o donna, il piangere, è vano / "Your weeping is in vain, woman"). He dies in Elvira's arms, telling her to live. Ernani is scored for one piccolo, one flute, two oboes, two clarinets, one bass clarinet, two bassoons, four horns, two trumpets, three trombones, one cimbasso, one harp, timpani, bass drum and cymbals, snare drum, on-stage band with on-stage bass drum, one offstage horn, six offstage trumpets, and strings. Finally, while Baldini agrees with Parker that it is act 3 of Ernani which is the strongest - "in my opinion it marks the first occasion on which Verdi enclosed within a fairly extended musical space (about twenty five minutes) a perfect structural unit"  - he also echoes Budden and De Van in noting the importance of the opening horn motif and references to the horn which recur throughout the opera and which ends with the final horn call, the fatal summons to Ernani by de Silva. Hernani is a drama by the French romantic author Victor Hugo. ↑ Phillips-Matz 1997, pp. 163—164, referencing Marcello Conati, "Ernani di Verdi; le critiche del tempo" in Ernani ieri e oggi. ↑ Parma's 2005 "Festival Verdi"
↑ List of singers taken from Budden, p. 138. ↑ Parker notes that there is no direct evidence that Verdi sanctioned this addition, p. 71. ↑ Steven Schoenherr, Recording Technology History Archived 2010-03-12 at the Wayback Machine . ↑ Note: this recording does not include Silva's act 1 cabaletta. ↑ Recording details for the 1983 Met Ernani DVD: OCLC 212394683. Verdi, Giuseppe, Ernani, full score critical edition, ed. Claudio Gallico, Chicago & Milan: University of Chicago Press & G. Ricordi, 1985. ISBN 0-226-85307-1. [http://operabase.com/oplist.cgi?from=01+01+2001&is=Ernani&sort=DList of performances of Ernani] on Operabase . Modern English translation of Victor Hugo's Hernani, the inspiration for Ernani on bedard.com/. Retrieved 3 February 2012.